The technician version of our Premium license has been made for a very specific need. Many of our customers are workshops, or repair shops (or online help). 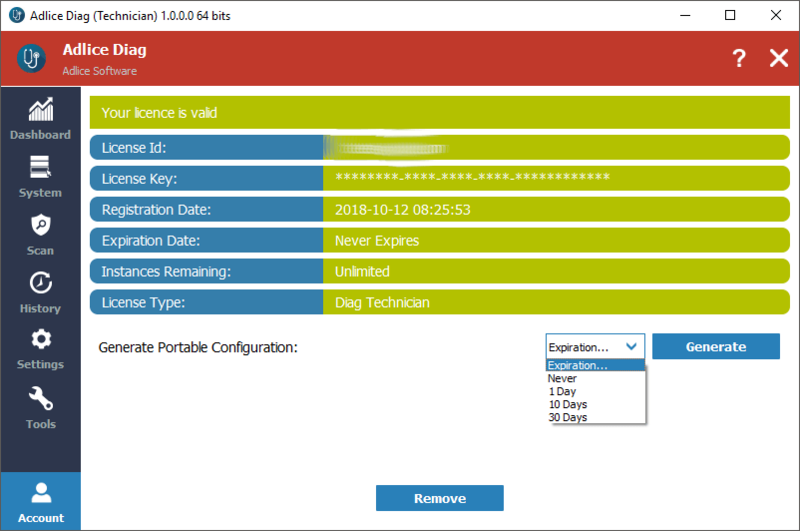 They collect machines from their customers (or access it with remote help tool), and need to use their own license on these machines without installation. 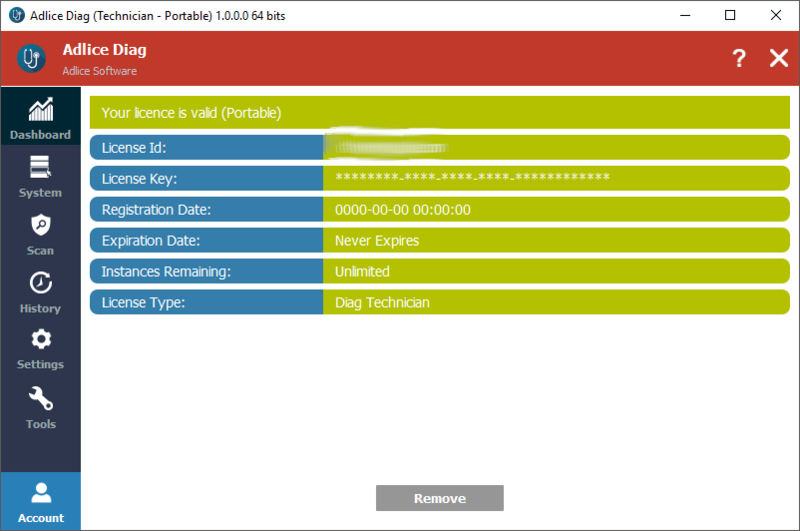 The Technician license, combined with the portable config file (see below) ensure the license key is never written on the customer’s machine and remain the property of the technician. Another common use case is the need for a company with hundreds/thousands of machines to have a technician license for punctual remediations, without buying a license for each seat. This is a perfectly suitable scenario. Registration of the Tech license is done in the same way as any other license. Please report to the corresponding section for help. In order to use the Tech version on a customer’s machine, several steps need to be achieved. Go into the “Account” tab, you should see something similar to the picture below. You can choose an expiration date (or never) to add a security layer in case you forget to remove the file from the target machine. After the number of days chosen (from now) the generated file will cease to work. Then click on “Generate” button and choose a save location, and remember that location for later. IMPORTANT: All files need to be placed at the same directory level. The software can be found in the installation path, usually C:/Program Files/[SoftwareName]/[SoftwareName].exe. Please make sure you pick both 32 and 64 bits version, or just the version you need for the target machine. On the target (customer) machine, access the folder from your shared medium and copy it locally. Inside the folder, just run the software version that suits the architecture. It should recognize the license and display it as portable. If an expiration date exists, it will also display it.